LearnENT is an app that was developed by a group of otolaryngologists from the University of Ottawa. It was designed to help students learn about head and neck surgery. The app was developed using a variety of teaching methods to cater to many learning styles and includes useful information for medical students and junior residents. The developers of the app also included all of the information contained in the app on their website at www.learnent.ca so that users without iOS devices can access the content. The home screen has instructions on how to get started. There is a menu bar within the app that includes all of the various sections of content as seen in the screenshot below. 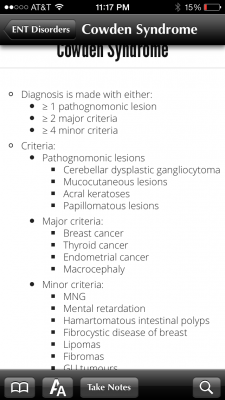 The various sections include information on the proper history and physical exam for head and neck related diseases, classifications systems, cancer staging, anatomy, and more. The menu bar also includes access to any notes the user has taken, and files that were downloaded within the app, as well as links to additional reading. 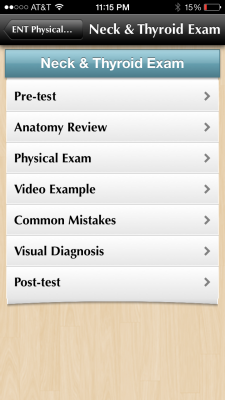 An example of the physical exam section is shown in the following screenshot. 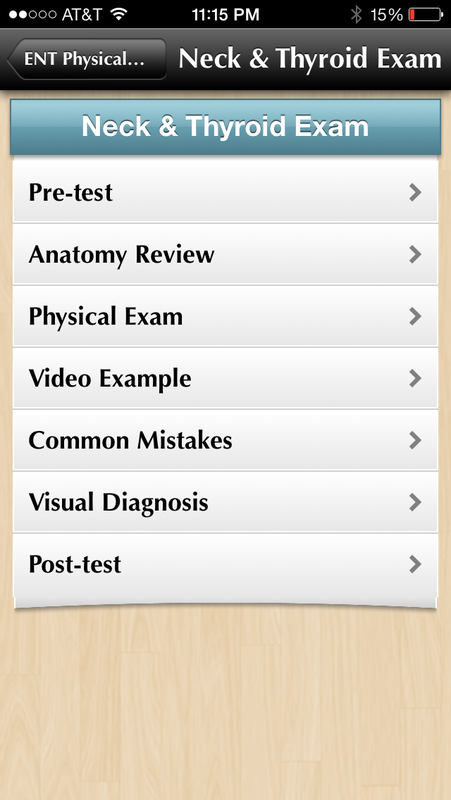 The app breaks down each area of the physical exam by body part and goes into detail for each including pretest questions, general information and anatomy as well as video examples. The various ways the physical exam is presented shows the multiple teaching methods this app utilizes to help the user learn. The app also includes the option for users to request additional features. This is essential for an app to be user friendly. 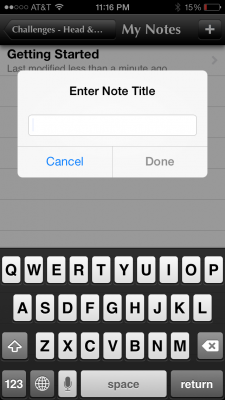 The app also includes a note-taking feature, allowing users to add a note for any of the sections within the app. 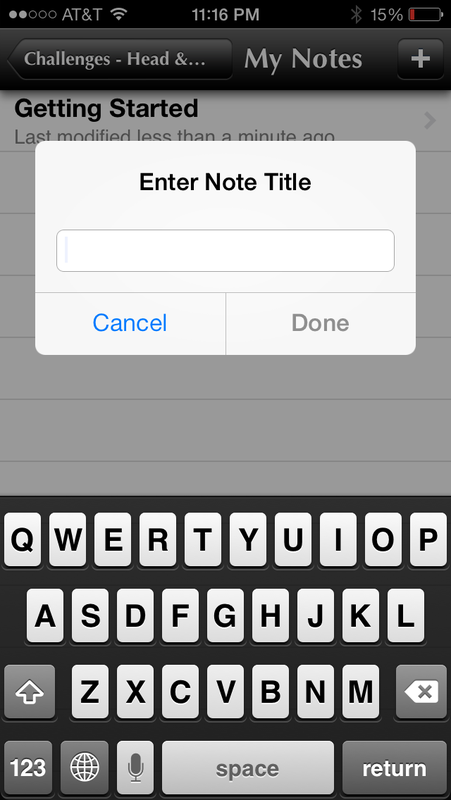 Each note can be given a title so they can be easily accessed later. The notes are also all available on the main screen of the app. Below are examples of some of the content that is included within the app. 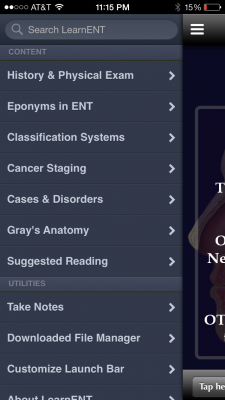 The app includes high yield tips, information about many ENT related diseases, and standard classification systems used within the field. 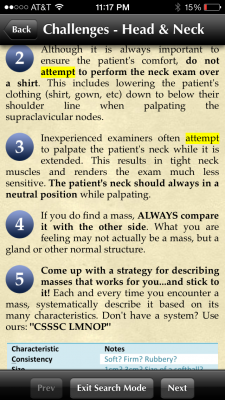 The app also includes an extensive review of head and neck anatomy including diagrams and images. The LearnENT app also has a very useful search function which allows users to search for specific words and phrases that are used anywhere within the app or even the current page the user is viewing. The app also includes multimedia content such as videos that are not actually included on the initial download of the app, but can be downloaded individually for free if needed within the app. These videos can then be accessed from the main menu for later use. Each section has links for more information that directs the user to Google, Medscape, and PubMed. Each section also has the name of the contributing author, though, there are no actual citations for the information provided. 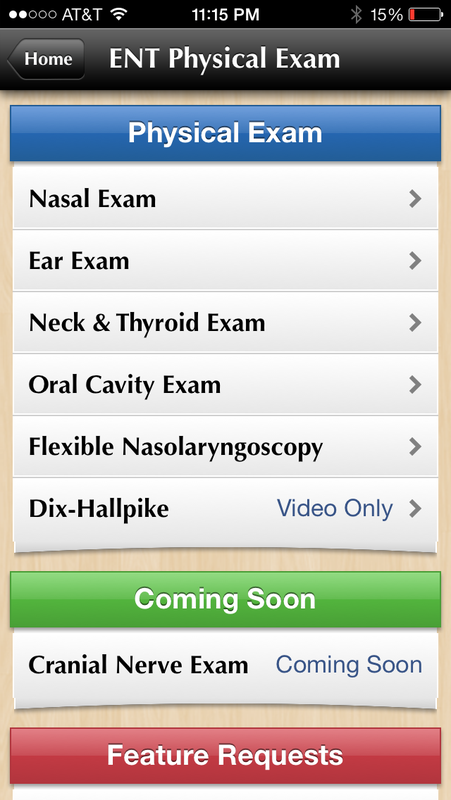 The app covers many areas related to head and neck surgery but also has several sections that are listed as coming soon. 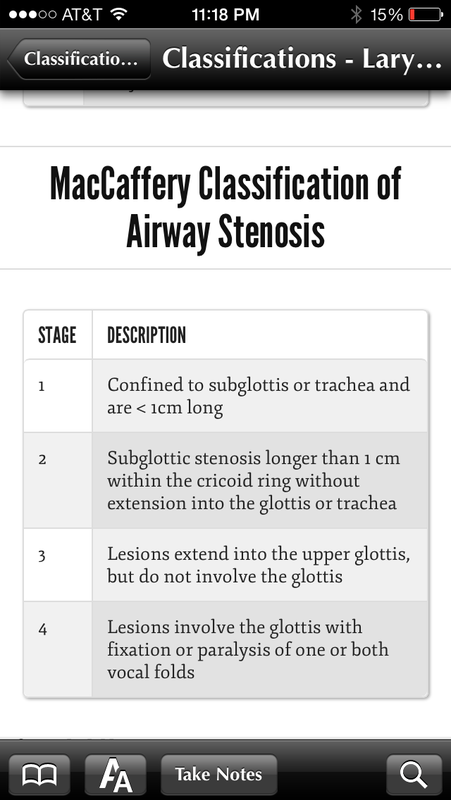 The app cannot be used as a complete resource for learning the basics of otolaryngology but can be great for medical students and junior residents to reference the basics. Multiple methods of teaching information including text, questions, and videos. No specific citations for the content included which is disappointing since this app contains so much content. Still has several sections that need to be included and are listed as coming soon. Medical students and junior residents will find this app useful. Overall, this app is an extremely useful resource to quickly reference and learn about the basics of otolaryngology. The app includes various methods of presenting similar information making it a great way for different types of learners to benefit from the app. This app is continuing to add more information which only means that the app will get even better. Since the app does not include references for the content, it should be used with caution and the end decision making should be left up to the clinician, but it still seems to be a solid resource for learning. As of publish, there is no Android version of the app available. User Interface: 5/5 – Very easy to use and navigate. Includes many essential features of educational apps such as note taking, search functions, links to additional information, etc. 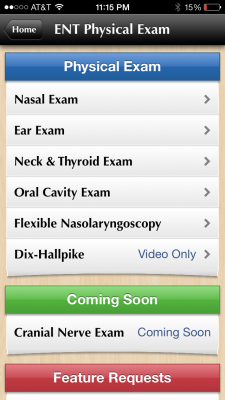 Multimedia usage: 5/5 – The app includes various videos that can be downloaded for free that are helpful to learn topics in otolaryngology. 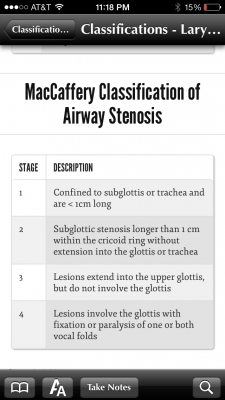 Real world applicability: 4/5 – This app can be a great resource for medical students and junior residents to learn the fundamentals of otolaryngology. The app includes a ton of useful content and is continuing to grow. The app cannot be used for clinical decisions, but can be a great resource for educational purposes. I would try reaching out to the developers.